Judy Stabile was born in Los Angeles, 1953. Her paintings and sculptures are exhibited in many private and corporate collections. Her work has been shown in New York, London, Paris, Taiwan, Japan and her native state of California, among other locations. Stabile attended Chouinard Art Institute from 1969-1972. Her works were first influenced by the light and space movement. While attending Chouinard and living in downtown Los Angeles, she apprenticed with established artists Ed Ruscha and Larry Bell. 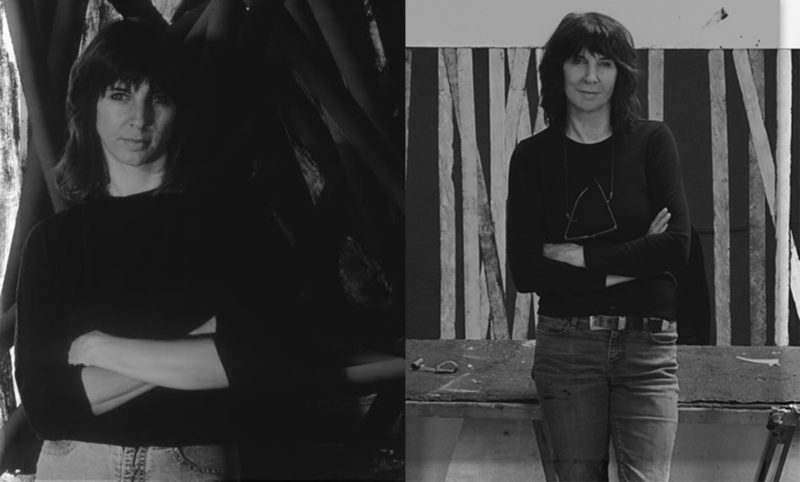 In 1973, after several years sharing studio space in downtown Los Angeles with fellow artist Jack Goldstein, Stabile moved to her Venice California studio. In the mid-1970s, she began experimenting with surface and light using spray paint and reversing her geometric abstraction works onto glass and Mylar, later adding reflective materials including gold, silver, and copper leaf. Stabile has been well-established in the art world since her first solo exhibition at the now legendary Molly Barnes La Cienega Gallery in 1982. She is known for her use of luminous colors and creating robust geometric interplay using the cone, triangle and cylinder. While continuing to expand her iconic cone series she is now creating a collection of purely instinctual works on glass using aluminum powder, enamel, and lacquered inks. Her cylinder paintings were recently exhibited at the Art Miami Art Expo. Charles E. Smith Companies – Washington, D.C.
Hewlett Packard – Rosewood, California. Cover, February 2003; Home and Architectural Trends, (Photo) p.64, Volume 18, No.